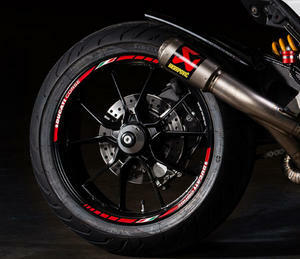 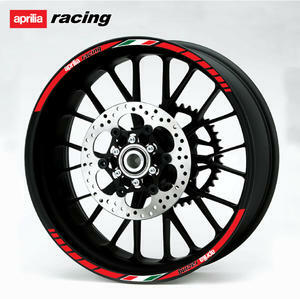 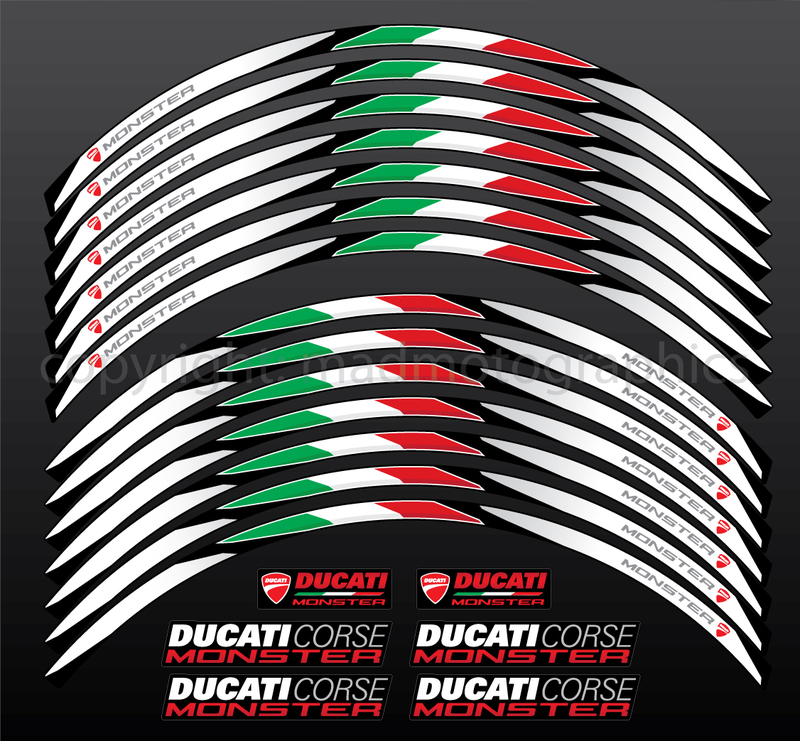 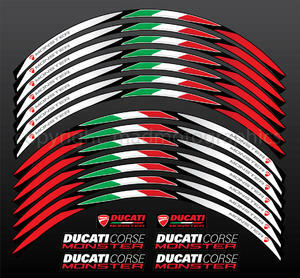 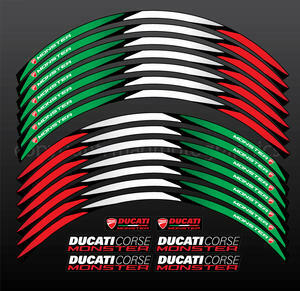 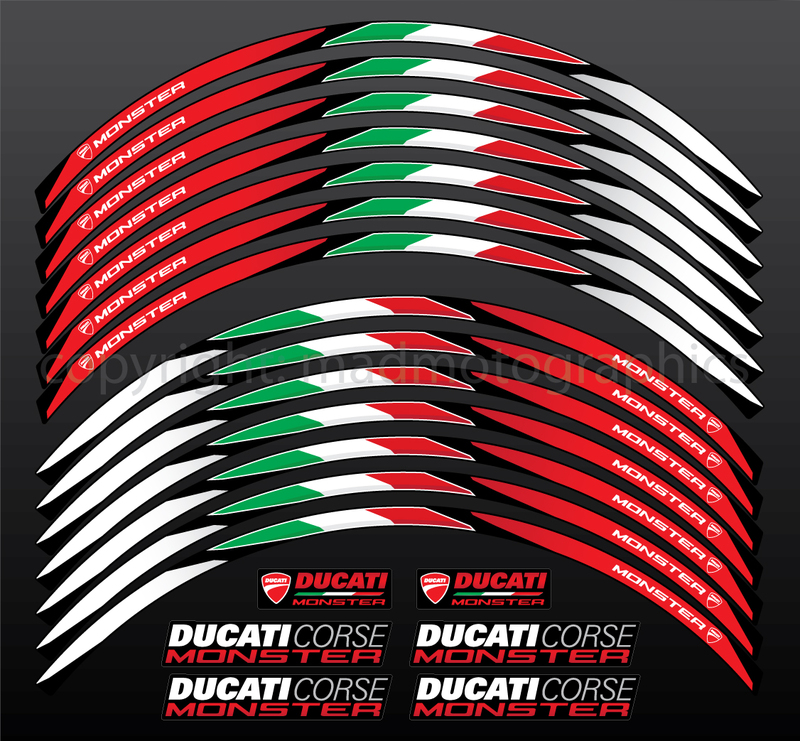 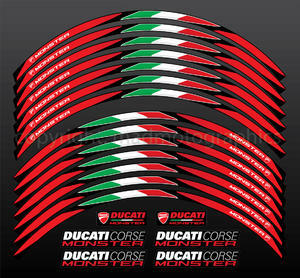 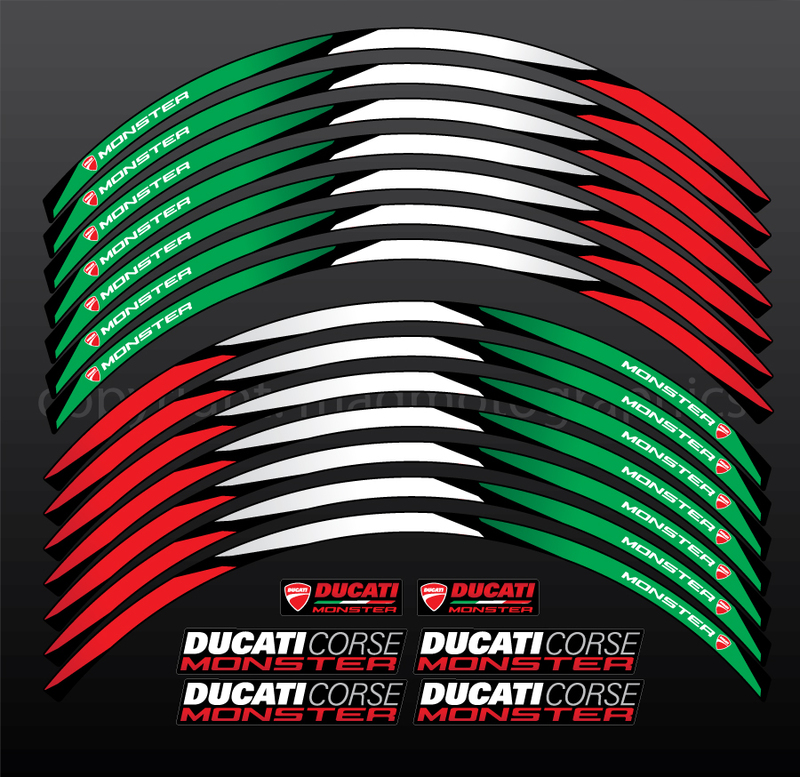 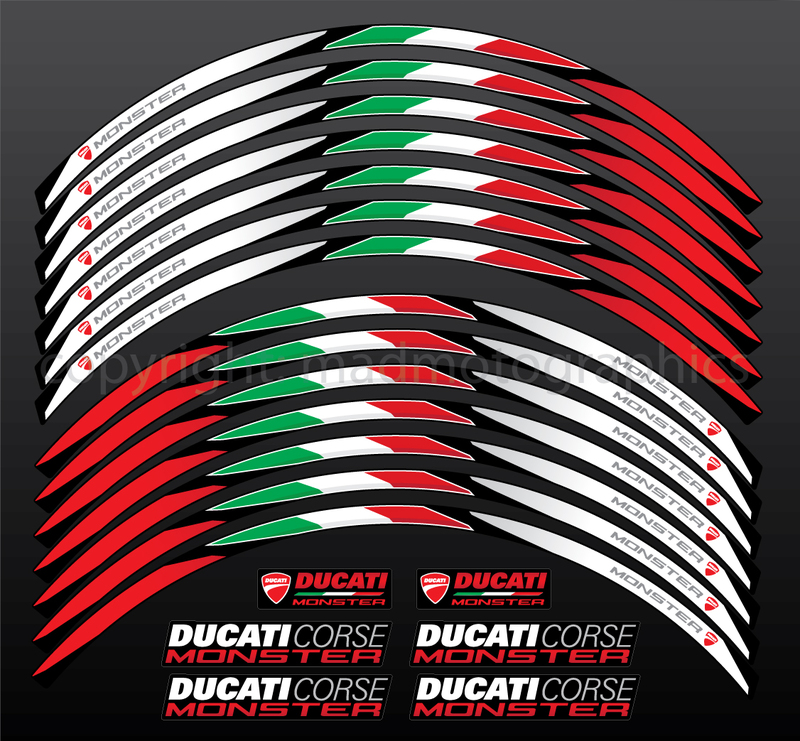 DUCATI MONSTER wheel decals - Laminated and protected. 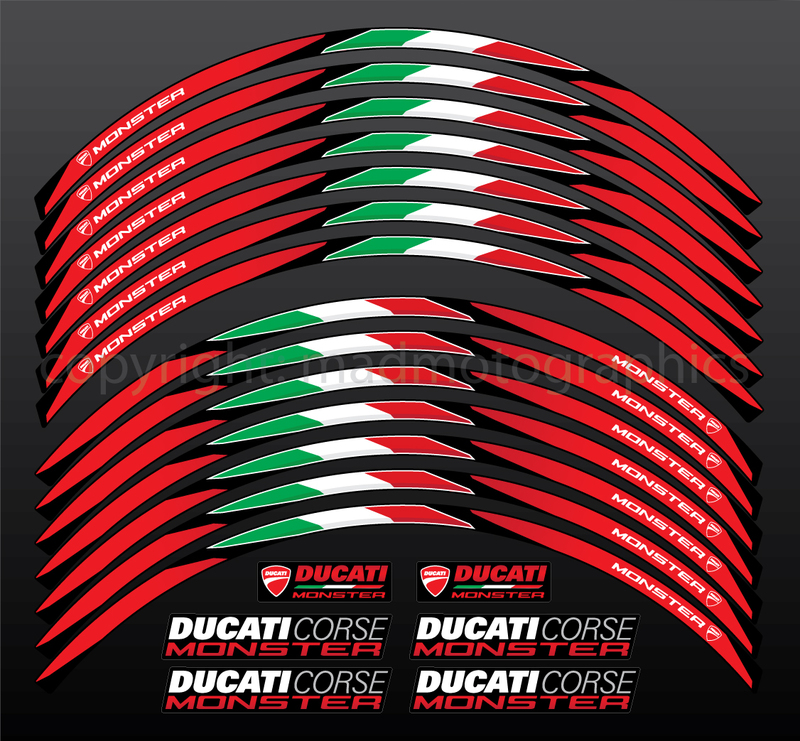 Full set for both wheels (front and rear) + spare stickers. 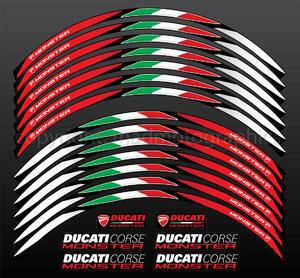 Logo decals for inner part of the wheel or other places also included.